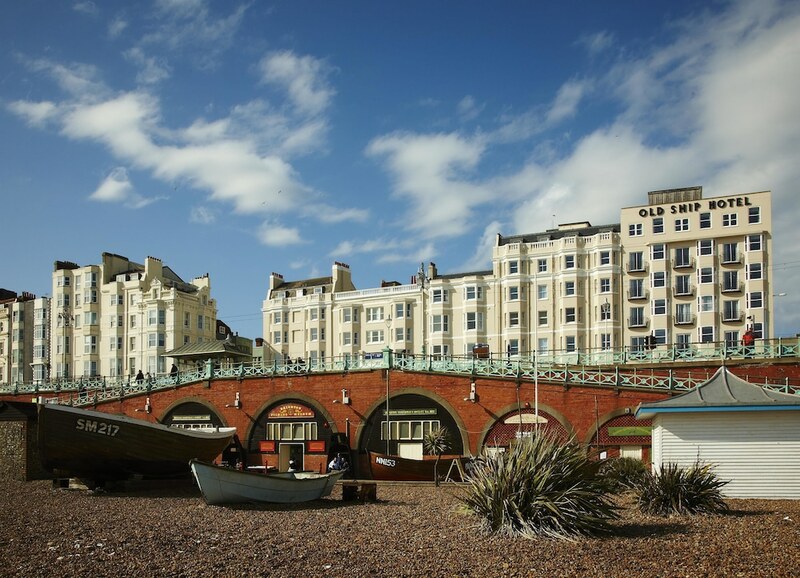 With a stay at The Old Ship Hotel, you'll be centrally located in Brighton, steps from Brighton Beach and 4 minutes by foot from Brighton Centre. This 4-star hotel is 0.3 mi (0.4 km) from Brighton Pier and 0.3 mi (0.5 km) from Brighton Royal Pavilion. Stay in one of 154 guestrooms featuring flat-screen televisions. Complimentary wireless Internet access keeps you connected, and digital programming is available for your entertainment. Private bathrooms with shower/tub combinations feature complimentary toiletries and hair dryers. Conveniences include desks and coffee/tea makers, and housekeeping is provided daily. Enjoy British cuisine at The Wardroom, a restaurant where you can enjoy drinks at the bar, take in the ocean view, and even dine alfresco. You can also stay in and take advantage of the 24-hour room service. Full breakfasts are served on weekdays from 7:00 AM to 10:00 AM and on weekends from 8:00 AM to 11:00 AM for a fee.